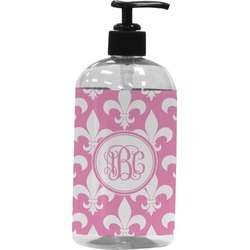 Decorate your entire bathroom with our beautiful custom bathroom products including our Soap and Lotion Dispensers. 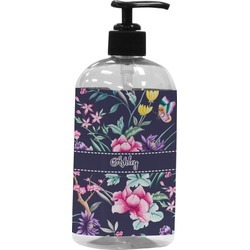 Our PET plastic bottles are BPA free and perfect for the bathroom / shower where you do not want glass bottles. These plastic bottles are also perfect for children's bathroom. 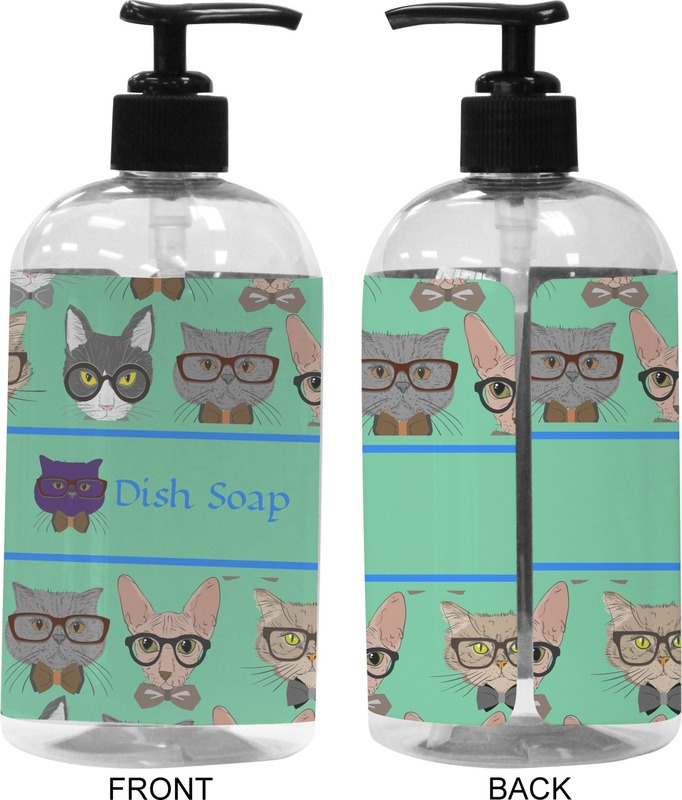 Our bottle dispensers are clear plastic with a black nozzle and are available in two sizes - 8 oz (2.25"D x 6"H) and 16 oz (2.5"D x 7"H) and can hold a variety of liquids. 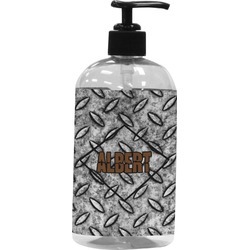 The large size (16 oz) is perfect for shampoo, conditioner, body soap / lotion while the smaller size (8 oz) is perfect for hand soap, lotion or face cleanser. We adhere and wrap your custom printed design around the clear plastic bottle; there is a slight gap at the back for you to see the liquid level. Your design is printed on high gloss vinyl with eco-solvent inks and completely waterproof and will not fade or deteriorate over time. The vinyl is machine cut and adhered by hand to the clear plastic bottle. I love this! I love cats, and it matches my kitchen perfectly. Quality item, came surprisingly fast! Looks just the way it was pictured. Love this Dispenser!!! Gonna order two more! !